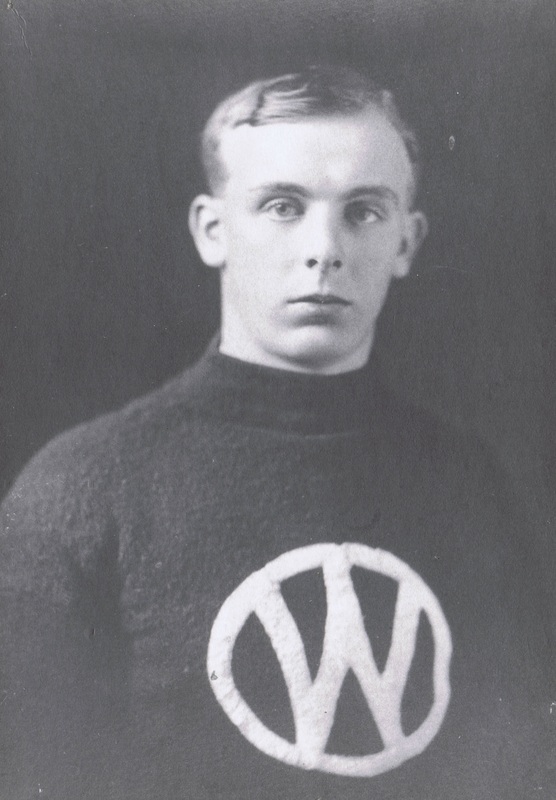 Hugh Gifford played in more seasons than any professional player on the Pacific Coast save for New Westminster team-mates ‘Pat’ Feeney and ‘Buck’ Marshall. He made his debut in 1910, the second year of open professionalism in the British Columbia Lacrosse Association and would remain in the professional ranks for 12 playing seasons until the game died in 1924 – absent only from the 1918 Mainland Lacrosse Association campaign. Of the four Gifford brothers who played professional lacrosse for the Salmonbellies, he was the last one still playing in that final season on the Pacific Coast and in Canada – his younger brother Jack Gifford missing from the four games that were played in the aborted 1924 season. He was also the first of the Gifford family to be born in New Westminster; his older brothers having been born in Scotland prior to the family leaving for North America in 1887. Like his older brothers Tom and Jim Gifford, Hugh was a defensive player – although more as a midfield defender in the modern sense than a pure defenceman as the aforementioned two. Hugh Gifford was recalled as “a powerful, colourful player, an outstanding athlete,” and “a stalwart on defence”. However when required, he could play in any position in his team’s own half of the field. He pulled duty as a centreman in the second half of the 1915 season while he played a handful of games in 1919 and 1921 in point and coverpoint roles back near his own crease. 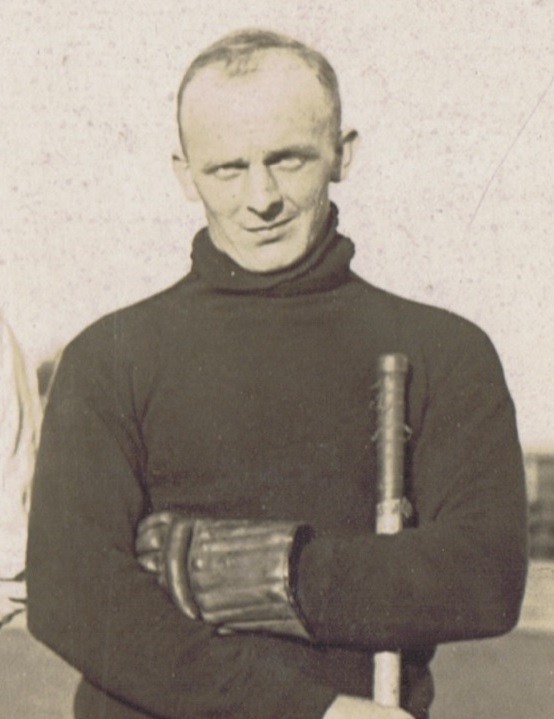 He even started a game between the goal posts in one instance – in just his second game after joining the Salmonbellies – on August 27, 1910, in which he filled in for ‘Sandy’ Gray. The youthful Gifford allowed just 3 goals to get past him in helping lead New Westminster to a narrow victory over the home side in Vancouver. Not a plentiful goal scorer, he generally finished in the middle-third of the pack in his team’s scoring each season but still managed a couple games in his career where he bagged 2 goals in one game whilst playing in his usual defensive midfield role. Overall, and most likely due to his lengthy career, Gifford still managed to finish ranked 18th in career scoring with 29 goals and 1 assist, which are the best goal totals for any ‘defensive-minded’ player on the Coast. Where he would have made a name for himself statistically – if career statistics had been kept back then – would be penalties and minutes. His 54 penalty infractions place him fourth overall in the professional game on the Pacific Coast while his 342 penalty minutes make him the most penalised New Westminster player in terms of minutes sat out – and edge him up to third overall in that category behind Vancouver’s Harry Griffith and ‘Newsy’ Lalonde for career totals. Despite these high numbers, Hugh Gifford is not noted for being a particularly nasty or pugilistic player. He only had 6 games out of his career 124 played where he had more than 10 minutes in a game; this being an age where 5 minutes was generally the minimum handed out for a penalty. After his retirement from the game, he became a junior-level referee. He later officiated in one of the Mann Cup series. Hugh Gifford passed away at Royal Columbian Hospital from complications which aggravated his chronic asthma condition. He was inducted posthumously as a field player into the Canadian Lacrosse Hall of Fame in 1969.